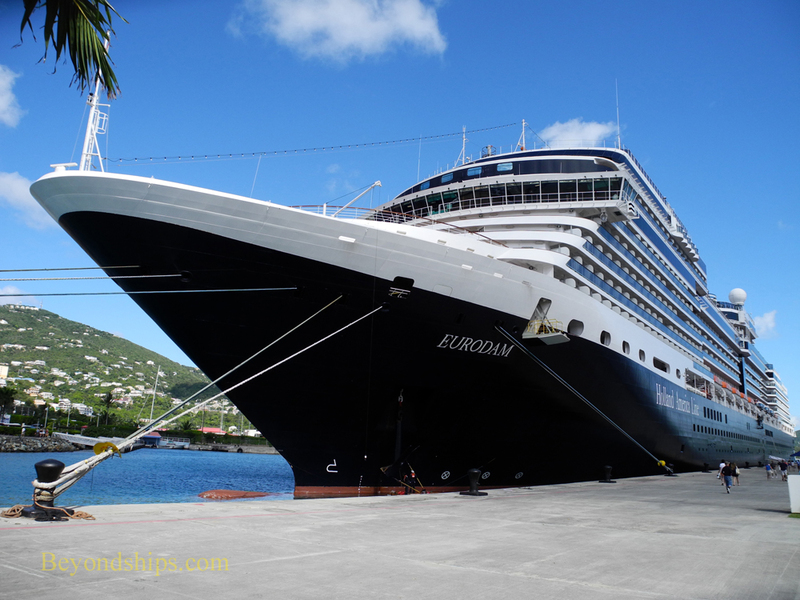 Eurodam does not stay in one place all year. Rather, she follows a seasonal migration. 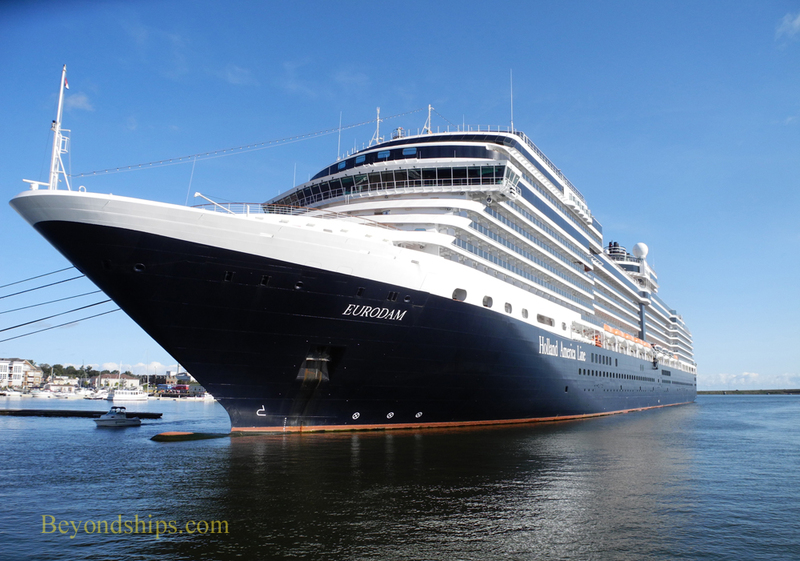 As Captain Jeroen van Donselaar has succinctly explained: "Our primary cruising area is Europe, hence the name Eurodam. 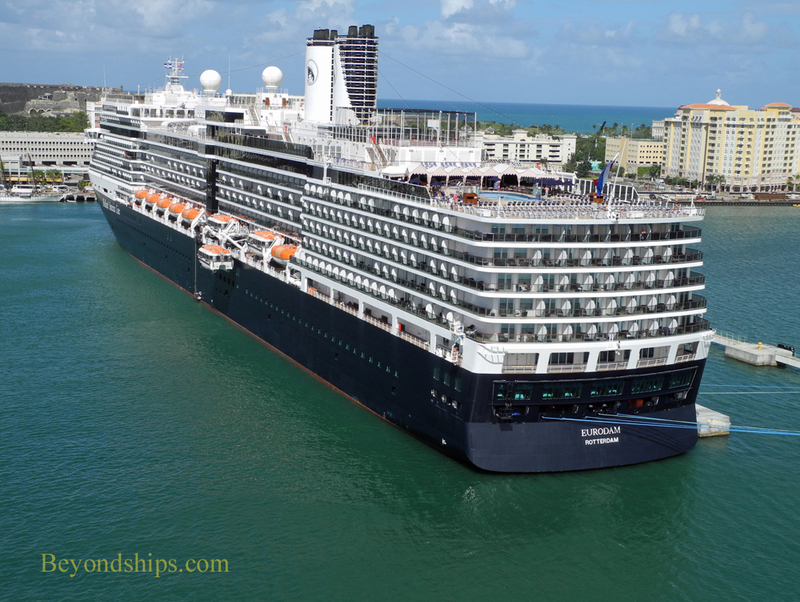 However, Europe is not a year-round cruising destination, particularly Northern Europe where we spend about four months out of the year. [Each year] we do a few weeks in the Mediterranean, then Northern Europe followed by a few weeks in Canada/New England. And [the rest of the year, we spend] in what we call our winter parking spot [i.e. the Caribbean]". 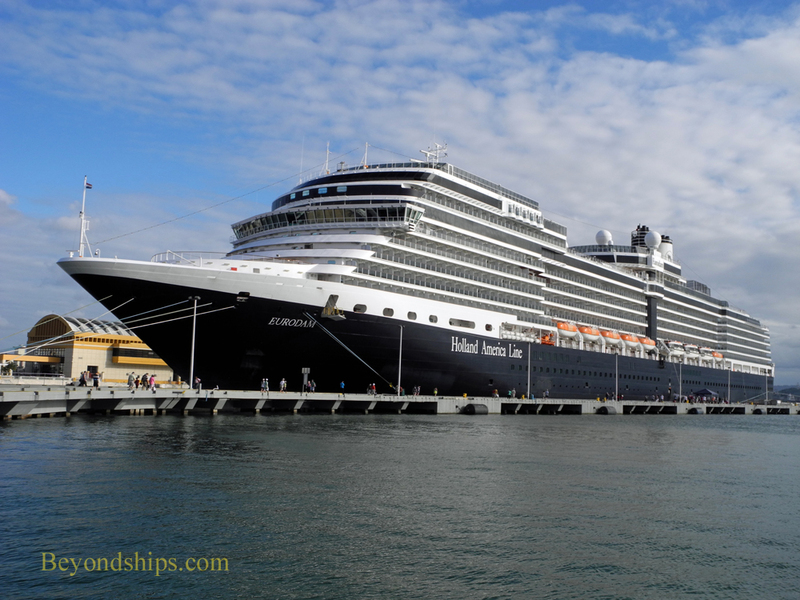 In this photo essay, we see Eurodam in some of the North American ports that she visits. 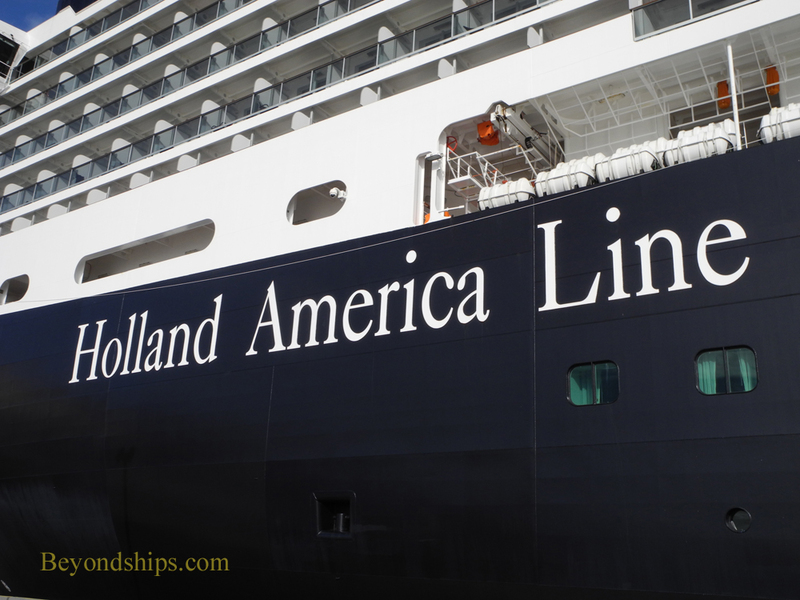 (See also our Eurodam Out and About photo essay for other North American ports that she visits). 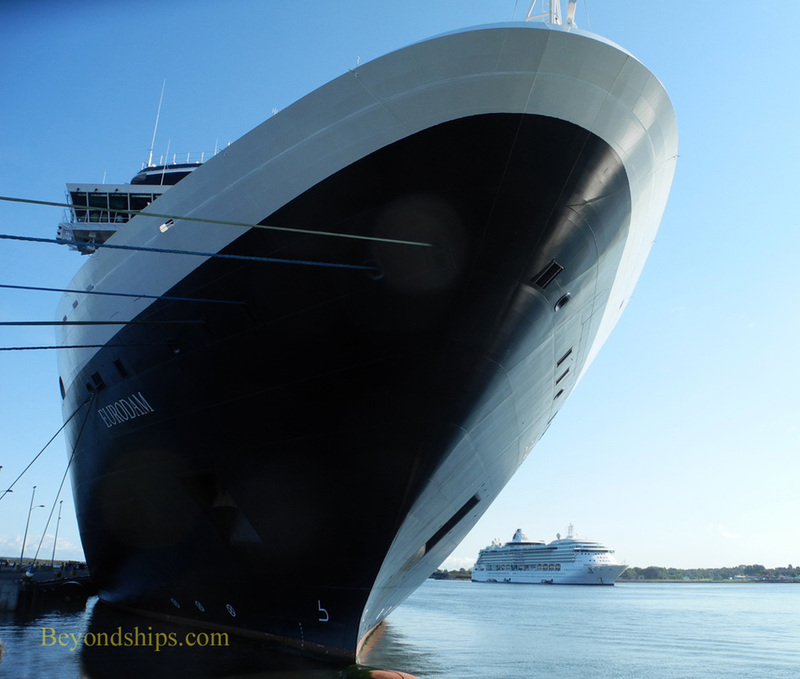 The ship with Eurodam in the above photo is Brilliance of the Seas. 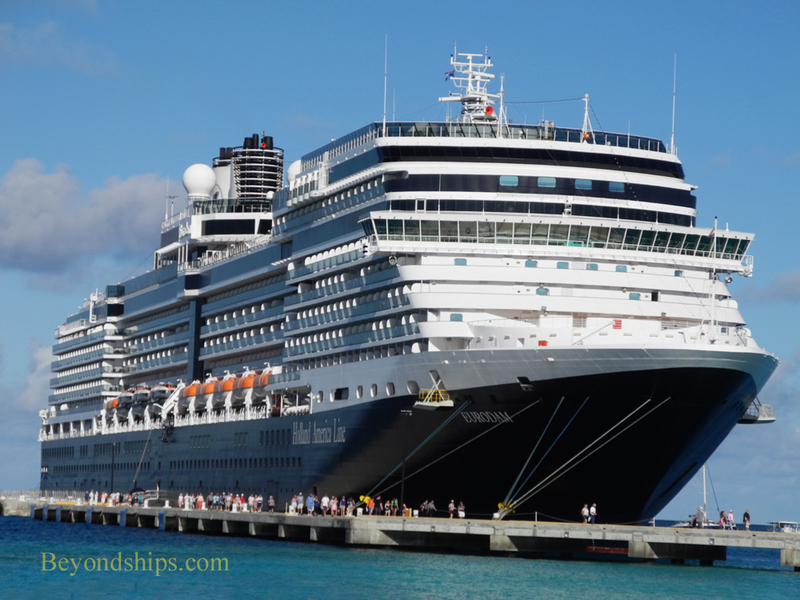 Eurodam is a familiar face in San Juan, Puerto Rico. She typically berths by the old city. 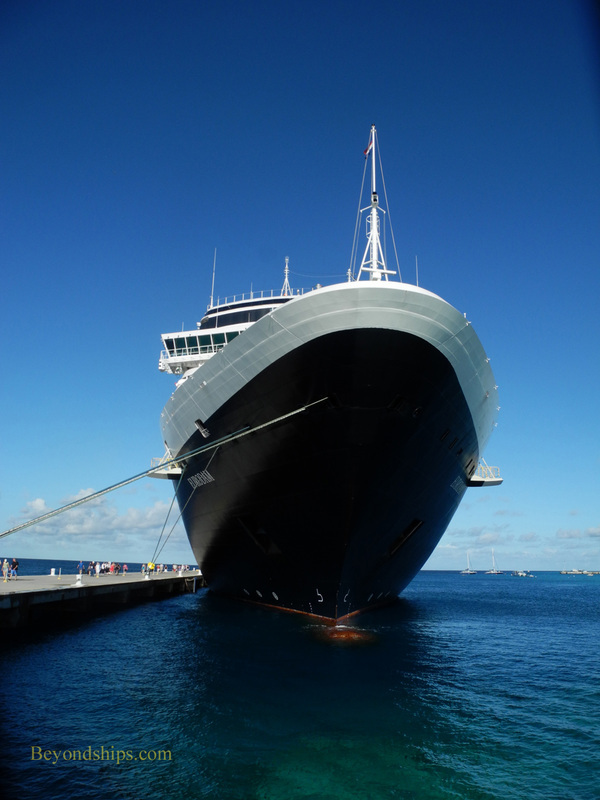 In Grand Turk, you can almost swim up to the ship from the beach by the cruise port. 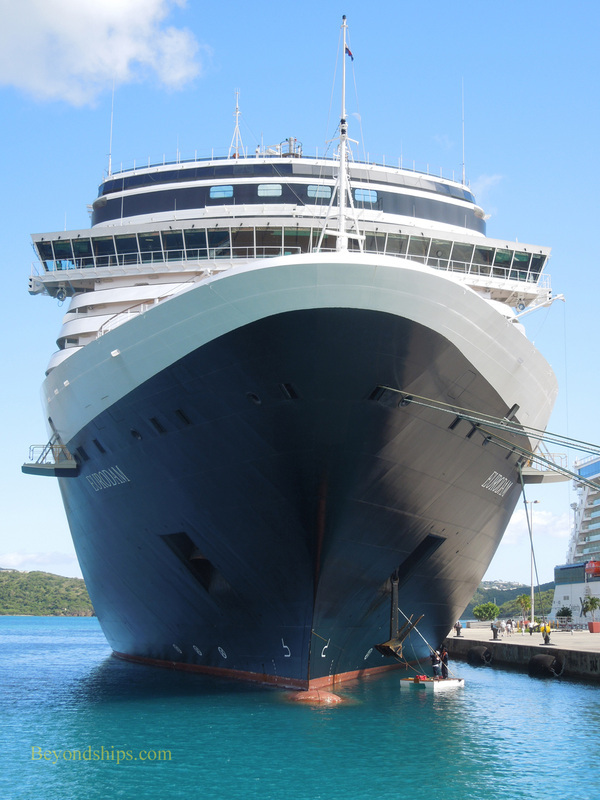 Here she is in Crown Bay, one of two cruise ports in St. Thomas. 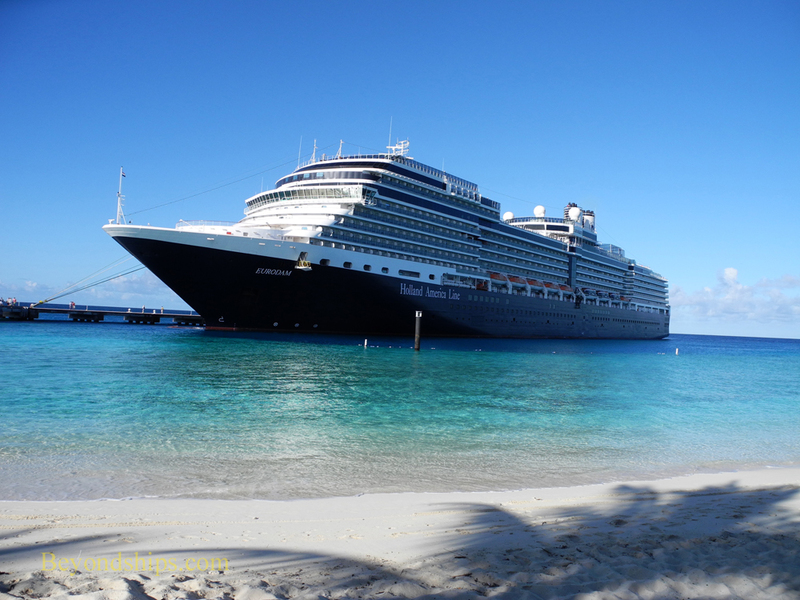 Naturally, Eurodam visits Holland America's private island Half Moon Cay in the Bahamas. This is a tender port in which the ship remains offshore. 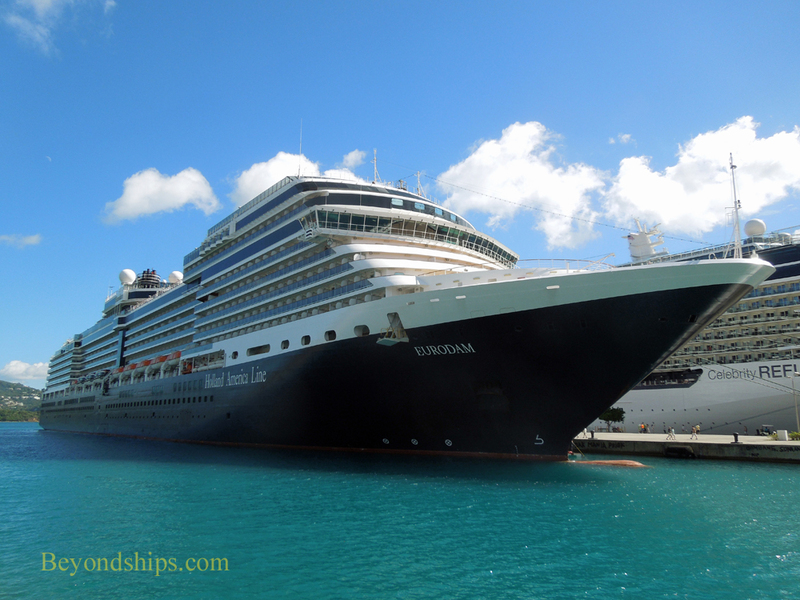 Below: Holland America's Amsterdam joins Eurodam off Half Moon Cay.